That’s right! Below are my first pictures of the 2014 Field Season of Claytonia “peirsonii”, collected just west of Devil’s Punchbowl County Park (Feb 15th, 2014). This population was documented for the first time today, now the westernmost occurrence of C. “peirsonii” that I know. 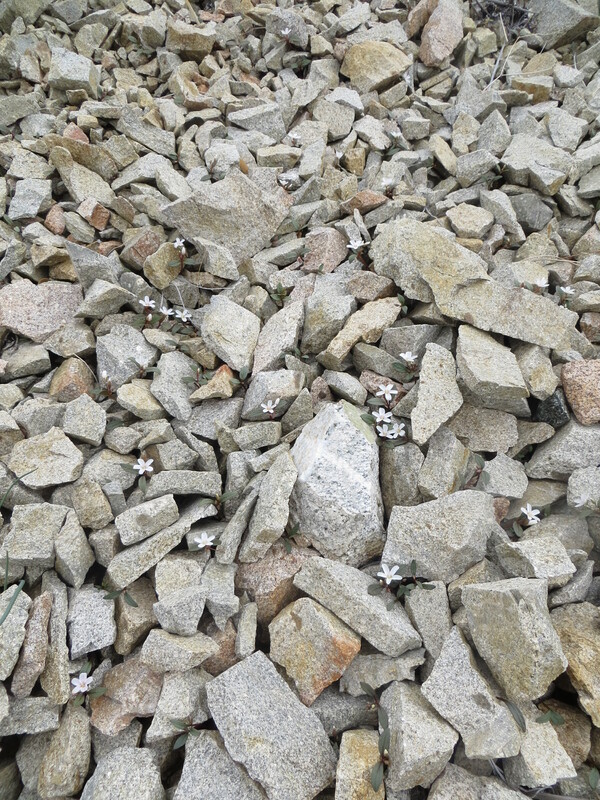 How many Claytonia do you see in the image below? I’ve counted about 100 individuals… wowza! This entry was posted in Claytonia lanceolata species complex and tagged claytonia, Claytonia lanceolata var. peirsonii, Devil's punchbowl, flowers, granite, hiking, San Gabriel Mountains, Spring Beauty by tstou10. Bookmark the permalink. How wonderful to see flowers blooming somewhere in the world, while there are heaps and heaps of snow outside my window! 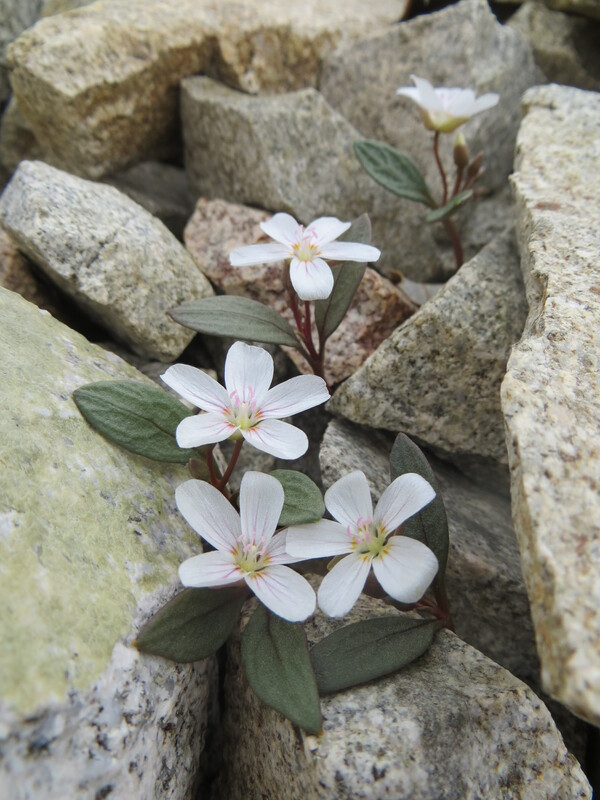 It is marvelous to know these tiny little blossoms manage to survive in such a harsh environment. Thank you for the update!